When it’s time to start seriously searching for a home, the process can sometimes feel overwhelming, making it difficult to know where to start. Having an advocate in your corner can clear away the confusion, but having three on your side can free you from worry and give you the peace of mind you need to make the right decisions. Choosing the right real estate agent, home inspector, and closing agent is key to owning a house free of any defects, including title defects, defects with the condition of the property and defects related to zoning and illegal conversions. Here is what to look for in these professionals, and just as importantly, what to avoid. Scouring online real estate databases is a great way to kick off your search for a home. It allows you to easily zero in on a location and see what properties are available, but it can also create a lot of questions for someone who doesn’t have experience buying property. This is especially true when you begin negotiating. A real estate agent can offer guidance and lift a variety of burdens. They understand the intricate process of selling and buying a house, and they know what questions to ask the seller about the condition of the property, including having the seller provide a seller disclosure statement (the delivery of this document should be a condition to having a valid contract). Determining who to choose as your real estate agent can be difficult, because there are many options. Start with asking friends and family that recently closed on a house for a referral. If they have had a positive experience, they’ll likely be more than willing to share their agent’s information. A quick Google search can also generate many hits of local agents. From there, it’s easy to learn about their experience, find their reviews, see their current listings, and more. There are plenty of good real estate agents, but there are also some extraordinary agents that go above and beyond. The best indicator of success is their track record of closings. Typical agents will search the multiple listing service for available properties, but experienced agents might be able to use their connections to hunt down properties that aren’t officially on the market yet to meet their client’s location and specific needs. However, be on the lookout for real estate agents that are unlicensed. There are laws in Florida to protect consumers, but that doesn’t stop individuals from trying to make a profit without going through the proper licensing channels. Even if they have the knowledge and expertise, not having a license means they’re probably not adhering to other conventional standards of real estate licensing, including ethics. When you feel like you’ve found the perfect house and are conducting your due diligence, it’s a good idea to do a little digging about the condition of the property. While the home may look perfect, the property could hide underlying issues that may not be easily detected. In a survey of over 4,500 Realtors®, the second leading cause of failed closings was due to the concerns raised by home inspections. While it’s easy to go with the home inspector your real estate agent recommends, it might be worth searching around on your own. Your agent’s recommendation may very well be a good one—and ultimately the one you use—but it’s important to steer clear of a “friendly inspection.” This means that long after the inspection, you won’t be surprised by hidden mold, termites, or code failures. When choosing your home inspector, be sure to ask for their credentials, qualifications, and a sample report. Any reputable inspector will be able to provide this information and it will say a lot about how thorough and accurate they are during an inspection. Accurate reports can sometimes be up to fifty pages long and contain photographs highlighting the defects that need attention. You should also avoid inspectors who offer repairs. General contractors and inspectors serve two entirely different purposes, and often inspectors do not have the qualifications to recommend repairs. All repairs to your future home should be handled by licensed contractors that can be warrantied. Also, be sure to note the inspector’s limitation of liability included in their report. Some inspectors try to limit their liability to the cost of the inspection (which maybe a small amount compared to the cost to fix or replace the item they failed to identify). Once you’ve found your home inspector, be sure to ask if you can attend the inspection! Use the opportunity to ask questions when it comes to tackling action items. Not only will you become more knowledgeable about the state of your potential home, you’ll also have the chance to gauge whether another inspection is necessary—this time with the presence of a real estate attorney. When all the criteria have been met—the mortgage loan is approved, the inspection meets your satisfaction, and you’re ready to close—you’ll need an expert to handle the closing. While you and your real estate agent are finalizing inspections and securing financing, the closing agent works behind the scenes to ensure a seamless transfer of the deed and title from seller to buyer. The closing agent also will prepare closing statements, obtain title insurance, order a survey, and follow up on the special instructions from your lender. While non-lawyers can close a real estate transaction, the advantage of having a real estate lawyer acting in this capacity comes in the event of a dispute. In the event a legal issue arises, the real estate lawyer closing agent will already be up to speed and will prevent you from having to bring in an outside attorney to research the situation and get involved at a much higher rate. By carefully choosing your real estate agent, home inspector, and closing agent, you can rest easy knowing you’ll be buying a first home that is a perfect fit for you! 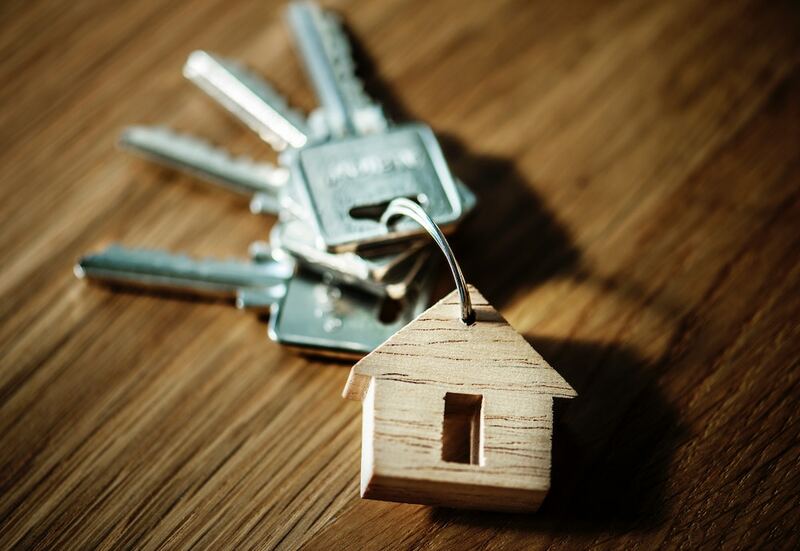 If you’re planning to buy a house soon but are not sure where to begin, don’t hesitate to reach out to a qualified real estate attorney, like Bruce R. Jacobs. Not only does he offer a free initial consultation, he can make sure your home buying process goes as smoothly as possible.